Dino Rush 1.8 is available! 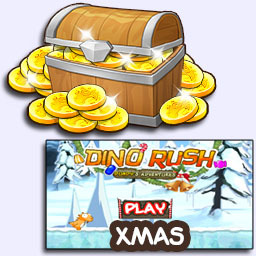 A new version of Dino Rush has just been released! It is a small update waiting for a major one we are working on. It is expected to come soon! So, for those that are missing the xmas theme we had during the winter holidays it is now back as a new item to unlock! If you are short on coins and can't wait to earn more you can get more coins instantly with in-app purchases! You can also make in-app purchases to support us and help making more awesome updates! Every little helps!